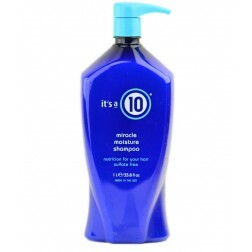 Its a 10 Miracle Moisture Shampoo - is a sulfate-free gentle deep-moisturizing shampoo for all hair types. 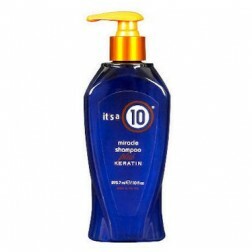 Nutrition for your hair with 10 amazing nutrients. 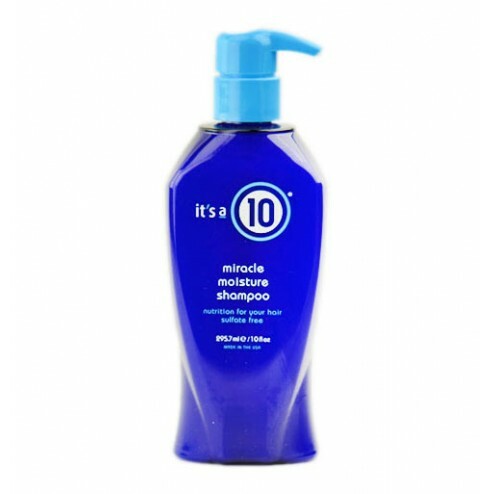 Its a 10 Miracle Moisture Shampoo. 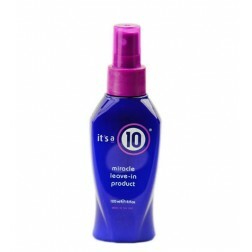 - Comfrey conditions and soothes. DIRECTIONS: Apply to wet hair. 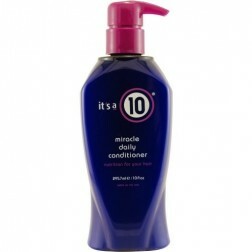 Massage into a rich lather and rinse completely. 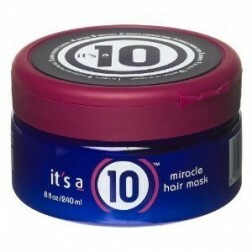 For best results follow with It's a 10 Mask. Water/Aqua/Eau, Sodium Cocoyl Isethionate, Cetyl Alcohol, Sodium CocoSulfate, Sodium Methyl Cocoyl, Taurate, Cocamidopropyl Betaine, Stearamidopropyl Dimethlanine, Euterpe Oleracea, Fruit Extract, Glycerin, Morinda Citrifolia Seed Oil, Moringa Oleifera Seed Extract, Tetrasodium EDTA, Sodium Ascorbyl Phosphate, Symphtum Officinate Leaf Extract, Butylene Glycol, Ascorbyl Palmitate, Helianthus Annuus (sunflower) Seed Extract, Polyquaternium-10, Punica Granatum Fruit Juice, Aloe Barbadensis Leaf Juice, Asphalathus Linearis Leaf Extract, Zingiber Officinale (Ginger) Root Extract, Methylparaben, Propylparaben, Diazolidinyl Urea, Caramel, Citric Acid, Linalool, Geraniol, Fragrance/Parfum/Aroma.